Baseline: Projection of future revenues, budget authority, outlays, and other budget amounts under assumed economic conditions and participation rates without a change in current policy. The Congressional Budget Office (CBO) prepares economic forecasts and projections, baseline budget projections, an analysis of the president’s budget, and policy options for the Budget Committees. A baseline is an estimate of federal spending and receipts during a fiscal year under existing law. 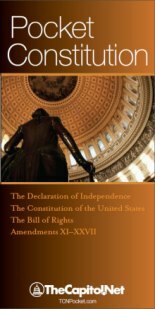 Congress set forth in law specific rules for calculating the direct spending, receipts, and discretionary spending baselines in Section 257 of the Balanced Budget and Emergency Deficit Control Act of 1985 (Title II of P.L. 99-177), as amended. Direct spending and receipts are assumed to continue at the level prescribed by existing law. These projections are based upon economic assumptions (e.g., economic growth, inflation, and unemployment) and other technical assumptions (e.g., demographic and workload changes) about future years. Discretionary spending is assumed to continue at the level of the current year’s spending level adjusted “sequentially and cumulatively” for inflation and other factors. Since 1974, Capitol Hill’s “baseline” has automatically increased spending every year according to Congressional Budget Office projections, which means before anyone has submitted a budget or cast a single vote. Tax and spending changes are then measured off that inflated baseline, not in absolute terms. A baseline provides a benchmark for comparing proposed budget policy changes to existing policies and indicating changes that may be necessary to meet certain budget policy goals. Therefore, the calculation of a baseline can be instrumental to the evaluation of budget policies. Two baselines are commonly cited in the federal budget process: the current services estimates calculated by the Office of Management and Budget (OMB) and the budget baseline projections calculated by the Congressional Budget Office (CBO). Each generally follows the rules set forth in Section 257 of the Deficit Control Act of 1985, as described above. However, OMB and CBO make their own economic and technical assumptions, reflecting different projections about future economic and program performance. Thus, the estimated levels of spending and revenues may differ between the current services estimates and the budget baseline projections. 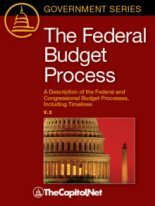 Baseline Budgeting: Congress and the president employ baseline budgeting as a tool to analyze the context in which budget policy choices are made and to assess the impact of particular proposals. In the simplest terms, a baseline is a set of projections of future spending and revenues, and the resulting surplus or deficit, based on assumptions about the state of the economy and the continuation of current policies without change. Overall revenue and spending levels usually increase from year to year under the baseline because of demographic trends, workload changes, and other factors. Following the late-2000s recession, however, baseline projections showed declining revenues due to the economic recession. The Office of Management and Budget develops a budget baseline, referred to as the current services estimates, to support the president’s budget, while the Congressional Budget Office develops its own baseline, referred to as baseline budget projections, to aid the congressional budget process. Although, for the most part, the two agencies share a common approach to constructing budget baselines, differences in aggregate projections and estimates for particular accounts and programs are inevitable. Sometimes the differences may be significant enough to complicate the process of resolving policy differences. The national economy can exert a significant influence on the federal budget. If projections about economic growth, unemployment levels, inflation, and other economic factors prove to be significantly inaccurate, projected budgetary levels may change by billions of dollars during the course of a year. For this reason, the economic assumptions that underlie the budget baseline are crucially important. 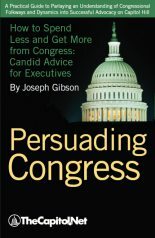 Congress and the president usually require that economic assumptions be revised only once or twice a year, to avoid complicating the decision making process. The Congressional Budget Office develops its own baseline, referred to as “baseline budget projections“. CBO assists the budget committees in developing the budget resolution by issuing, early each year, a report on the budget and economic outlook, which includes baseline budget projections. The baseline projections presented in the report are supported by more detailed projections for accounts and programs; CBO usually revises the baseline projections once more (in March) before the budget committees mark up the budget resolution. In addition, CBO issues a report analyzing the president’s budgetary proposals in light of CBO’s own economic and technical assumptions. 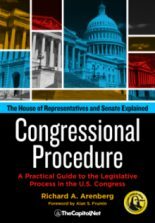 The House and Senate Budget Committees include extensive information in their reports on the budget resolution, as required by the 1974 Congressional Budget Act. The Senate Budget Committee is required to report a budget resolution by April 1 each year; there is no reporting deadline for the House Budget Committee. For many years, the Senate Budget Committee has issued a committee print in lieu of a report. “Baseline budgeting” is one of those Washington terms that sounds very dry and boring. In reality, baseline budgeting is one of the most sinister ways that politicians claim to cut spending when they are actually increasing spending. The Congressional Budget Office defines the baseline as a benchmark for measuring the budgetary effects of proposed changes in federal revenue or spending, with the assumption that current budgetary policies or current services are continued without change. The baseline includes automatic adjustments for inflation and anticipated increases in program participation. Baseline, or current services, budgeting, therefore builds automatic, future spending increases into Congress’s budgetary forecasts. Baseline budgeting tilts the budget process in favor of increased spending and taxes. See “How Does CBO Prepare Its Baseline Projections and Cost Estimates?” by Mark Hadley, CBO, February 7, 2018. In Reconciliation Directives, the dollar amounts are computed with reference to the Congressional Budget Office baseline that underlies the budget resolution. Thus, a change represents the amount by which revenues or spending would decrease or increase from baseline levels as a result of changes made in existing law. Scorekeeping: Scorekeeping is the process of measuring the budgetary effects of pending and enacted legislation against the baseline. The process allows Congress to compare proposed budget policy changes to existing law and to enforce budget constraints, such as the spending and revenue levels agreed upon in the budget resolution and the congressional and statutory pay-as-you-go (PAYGO) requirements. 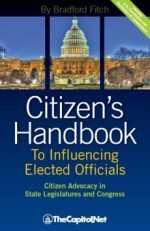 In the congressional budget process, scorekeeping is the responsibility of the House and Senate Budget Committees, acting with the assistance of CBO. Section 308(b) of the 1974 Congressional Budget Act requires the Budget Committees to make available, to their respective chambers, monthly summary scorekeeping reports on the current status of congressional budget actions. Section 308(a) of the Budget Act requires that any measure reported by a committee include estimates of the budgetary impact of the proposed legislation. These estimates, usually in the form of a statement in the accompanying committee report or published separately in the Congressional Record, are calculated by CBO. For revenue measures, CBO is required to rely on estimates provided by the Joint Committee on Taxation. Also see: Budget Deficit / Budget Surplus; Byrd Rule; Committee Print; Congressional Budget Act; Congressional Budget Office (CBO); Date Shifting / Fiscal Transparency / Fiscal Illusion; Discretionary Spending; “Emergency” Spending; Office of Management and Budget (OMB); Pay As You Go (PayGo); President’s Budget; Revenue; § 4.130 Legislative-Branch Support Agencies, § 7.02 Federal Budgeting Concepts and Terminology, § 7.50 Congressional Budget Process, § 7.110 Reconciliation Legislation, in Congressional Deskbook; Chapter 7. 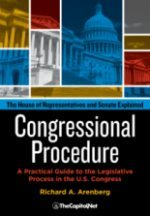 The Congressional Budget and Other Special Cases in Congressional Procedure.